It's as if dozens of TV meteorologists reached into their closets and pulled out the same exact dress. Why are so many wearing the same outfit on air? 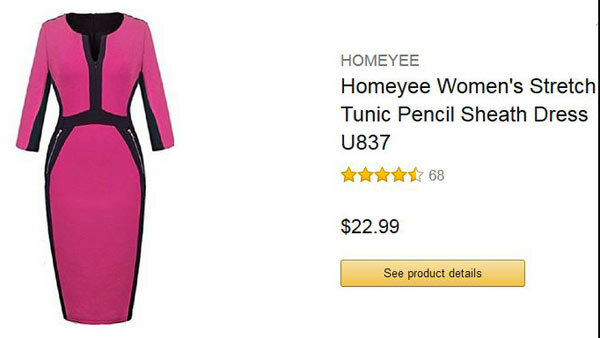 Shelby Hays of KOCO, Oklahoma City is one of more than 50 meteorologists who bought the same $23 dress on Amazon. "It has some fake pockets here with zippers on it," said Hays. "I have the blue one I'm currently wearing and I have pink one on the way." Turns out these women who do the weather belong to a Facebook group and exchange professional advice. And that's how the perfect inexpensive TV dress multiplied. The creator of this collage of all the identically dressed meteorologists is Jennifer Myers of Fox 4 in Dallas. She owns the dress in both blue and purple. But every meteorologist knows which dress not to buy - the one in green. Any forecaster caught wearing green would disappear on the green screen. Network meteorologists aren't all green with envy over the Amazon dress. "Wow. My gosh. So, Ginger where's yours?" NBC's Al Roker said. Ah, they don't come in maternity," ABC's Ginger Zee said. "There's absolutely no cleavage. That cannot happen," Hays said.